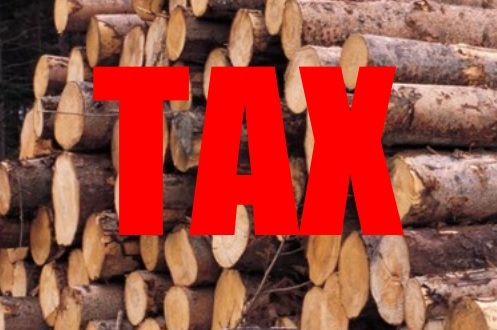 The 2015 Legislature has resurrected a controversial Timber Tax bill from the 2014 Session. This bill is being hailed by timber groups as costly and unmanageable, unnecessary, and with serious financial harm at a vulnerable time. Timber Tax HB 2588 imposes a severance tax on all timber harvested from Oregon’s forestlands at a rate of $19/MBF. The Department of Revenue would receive 3% of the money for administration. The Department of Forestry would receive another 3% for adopting rules and certifying tax credits. The Oregon Forestland Protection Fund would receive $3/MBF to fund fire suppression, and the owners of timber for logs milled in Oregon to a diameter of not more than 12 inches would receive a refundable tax credit not to exceed $12/MBF. Any remaining funds would be distributed to counties based on their private timber harvests. The bill is expensive and unworkable because it would be very difficult to track every log from its harvest to its final destination. Critics cite the bill as unnecessary because domestic products markets are now recovering from the 2009-2011 crash. Since 2011 lumber prices have increased by 35% and the price of Douglas fir logs is near a 5-year high. The bill taxes log exports which are damaging in the long run. During the recession when other jobs were disappearing, the export market provided family-wage jobs to workers in the logging, trucking, reforestation, stevedoring, and maritime industries.